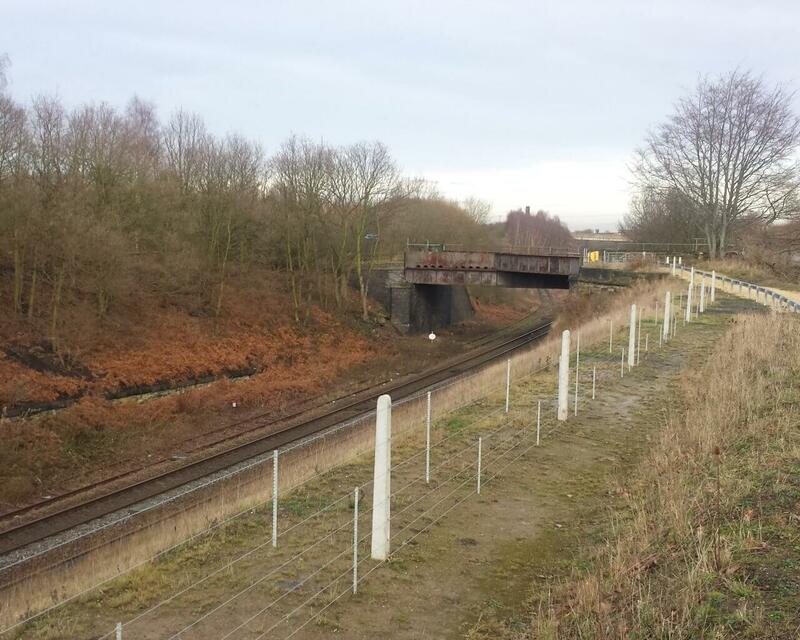 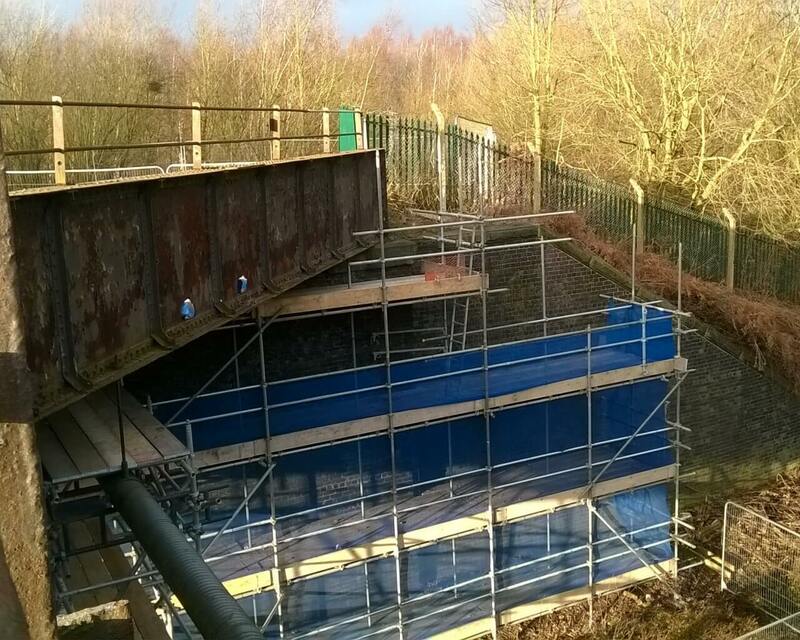 The single span bridge spans two tracks and one siding, situated approximately 1.5 km from Normanton Railway Station. 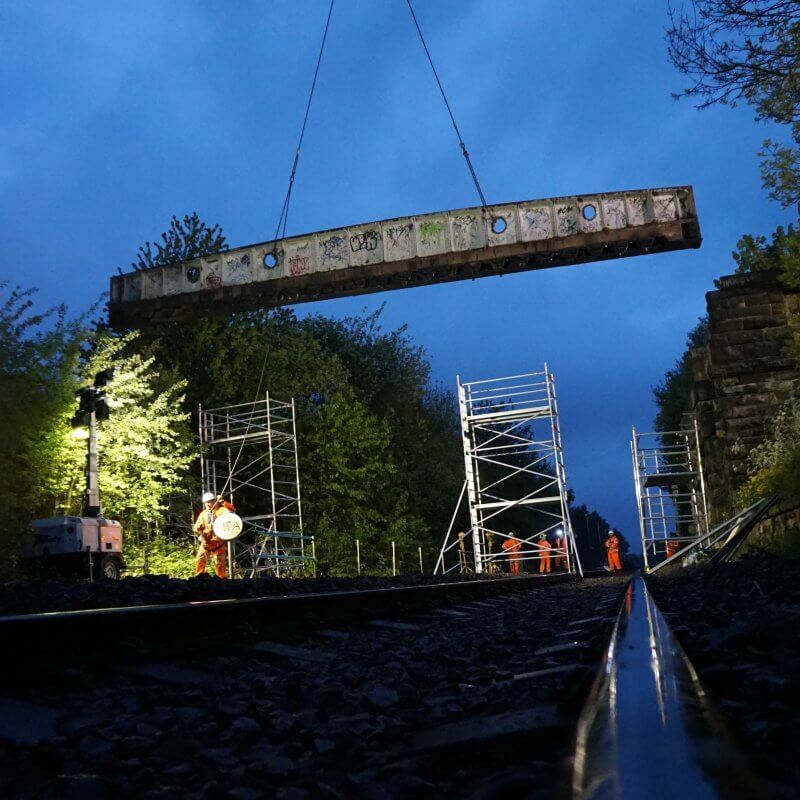 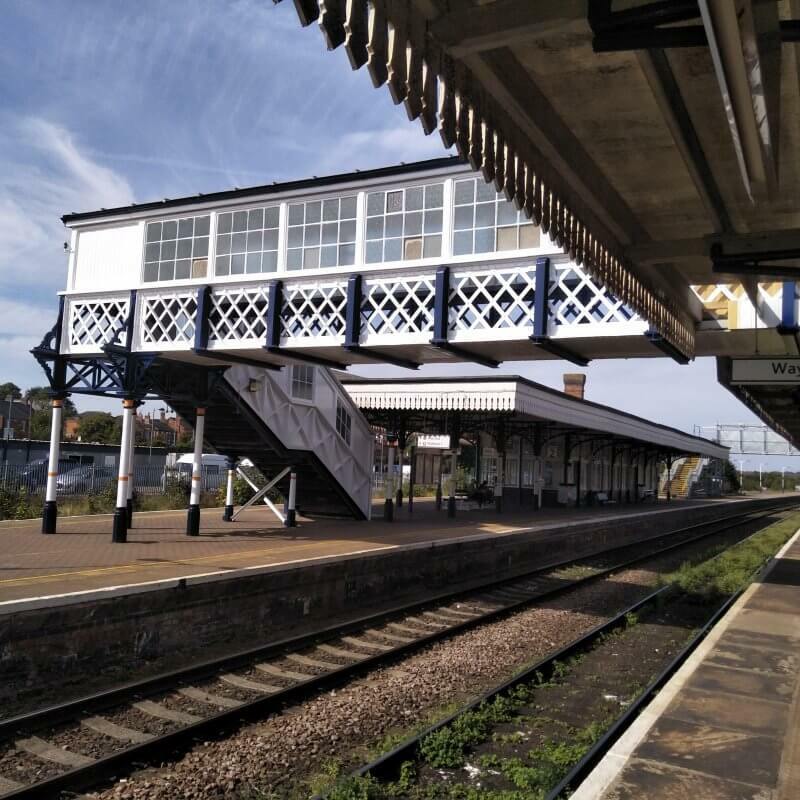 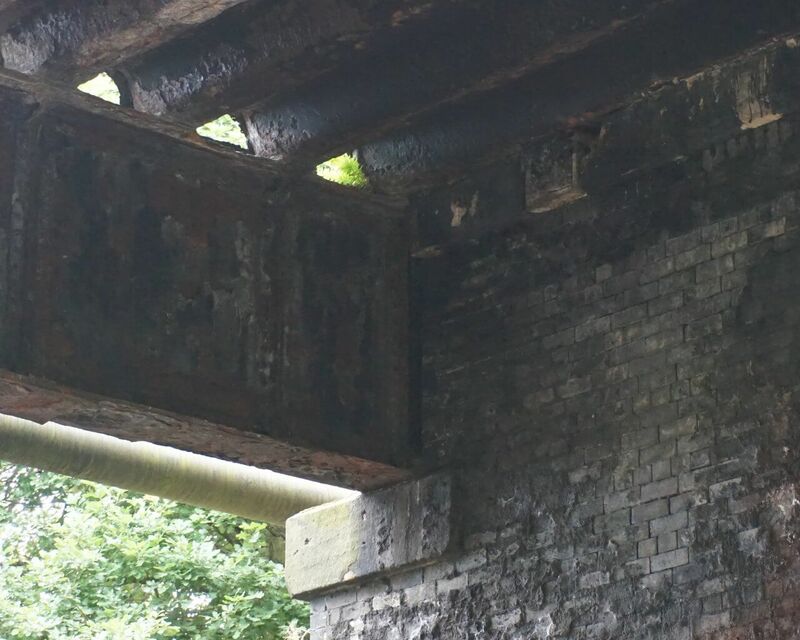 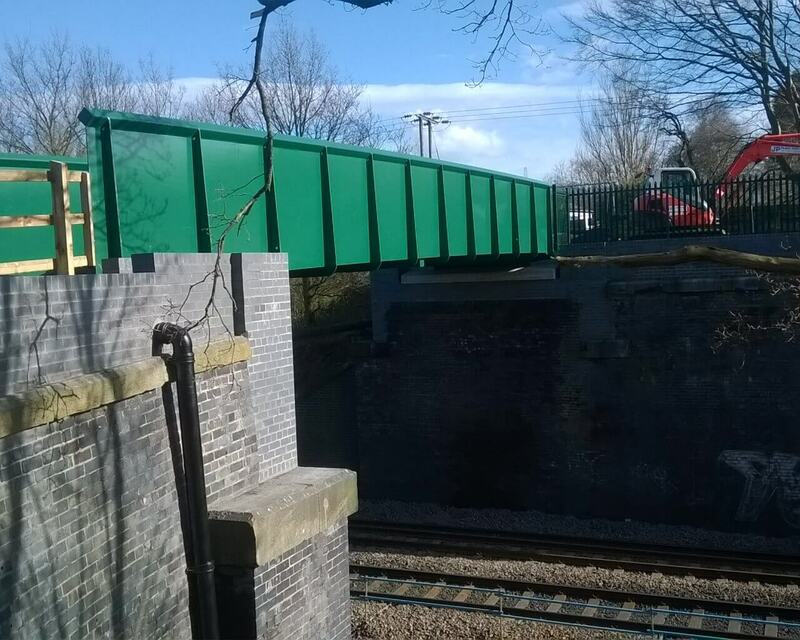 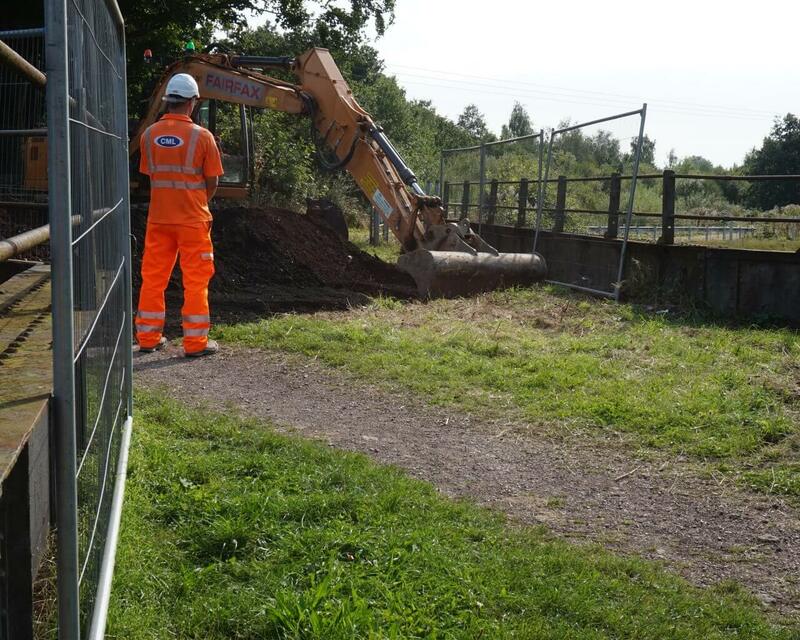 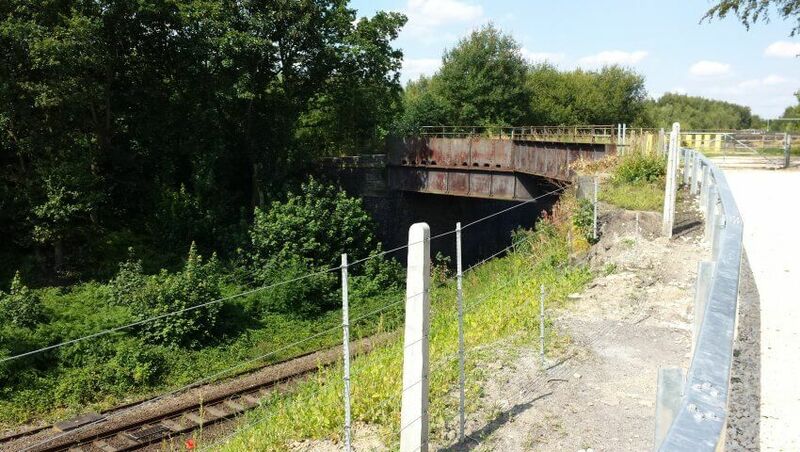 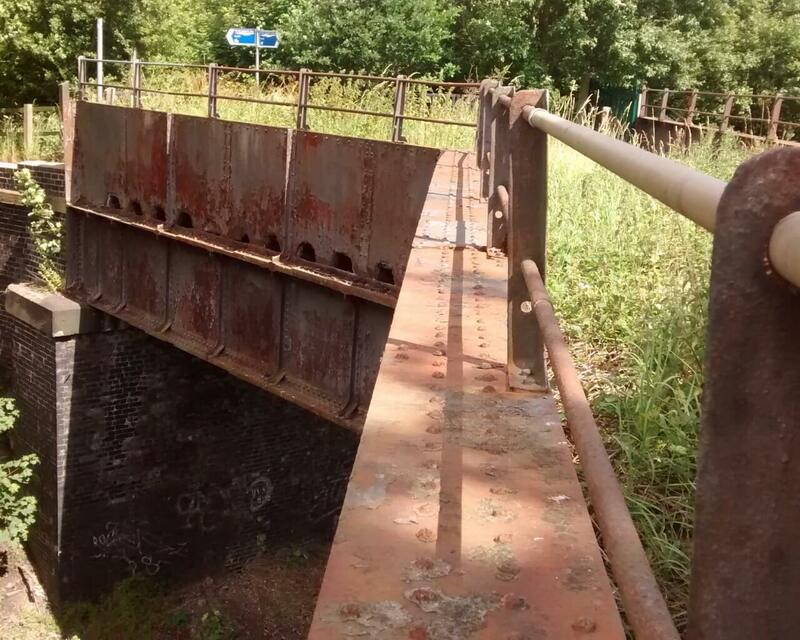 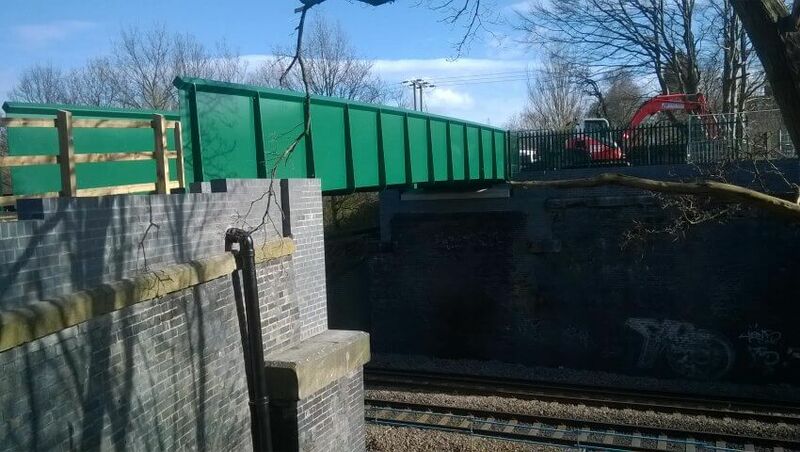 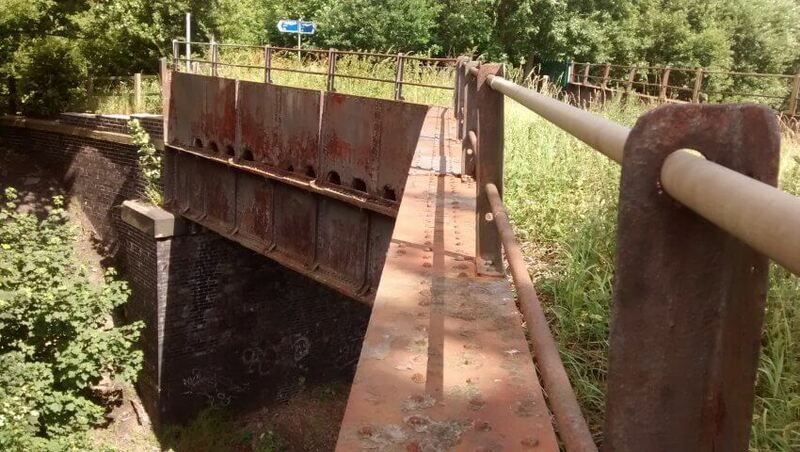 Inspections of the original bridge by Network Rail determined it was in very poor condition, and not capable of carrying the required loading under current standards. 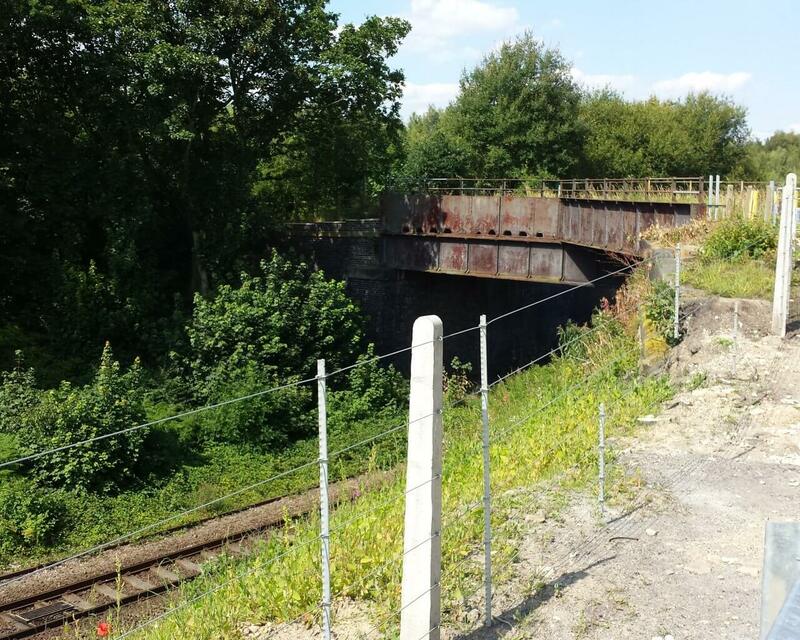 Repairs would have been significant and potentially costly so it was decided the best value option would be to reconstruct the bridge. 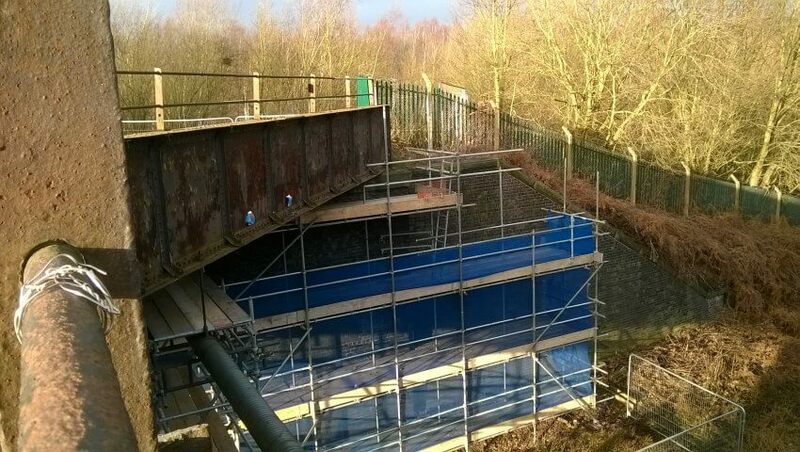 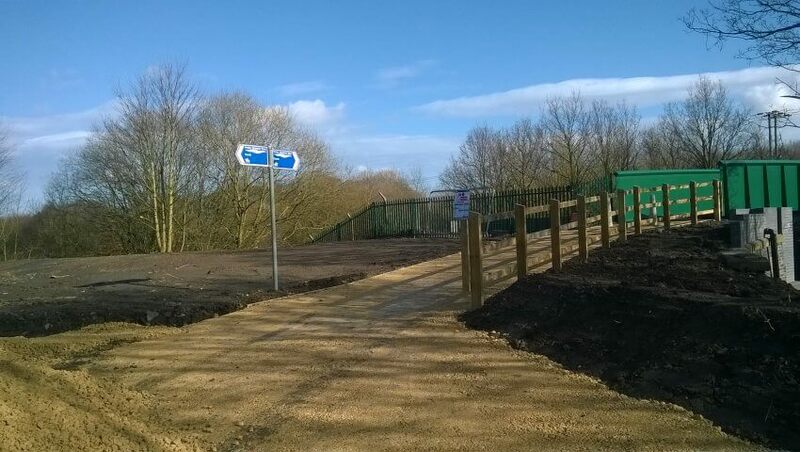 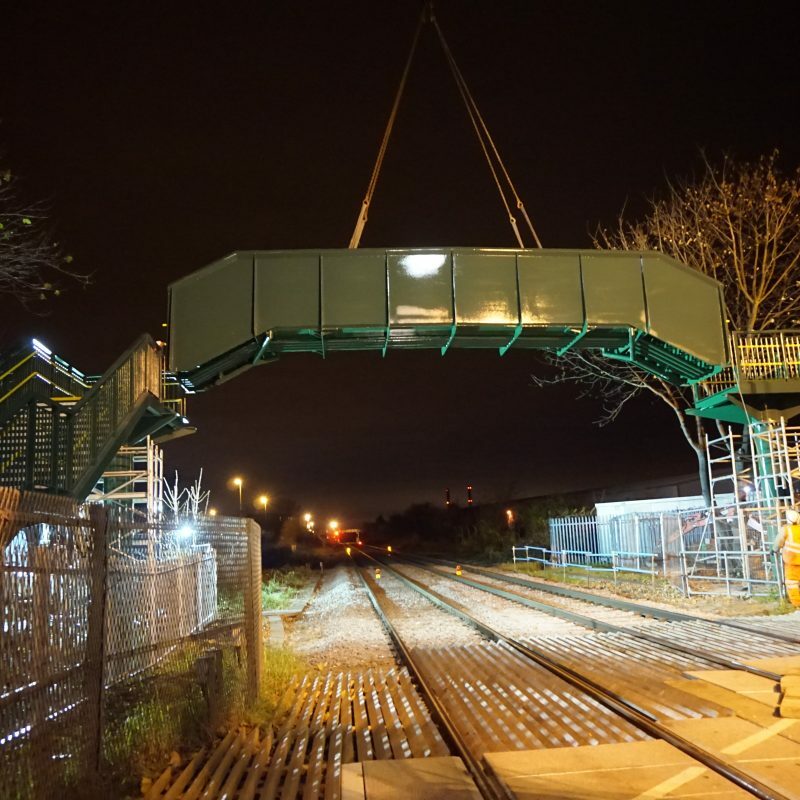 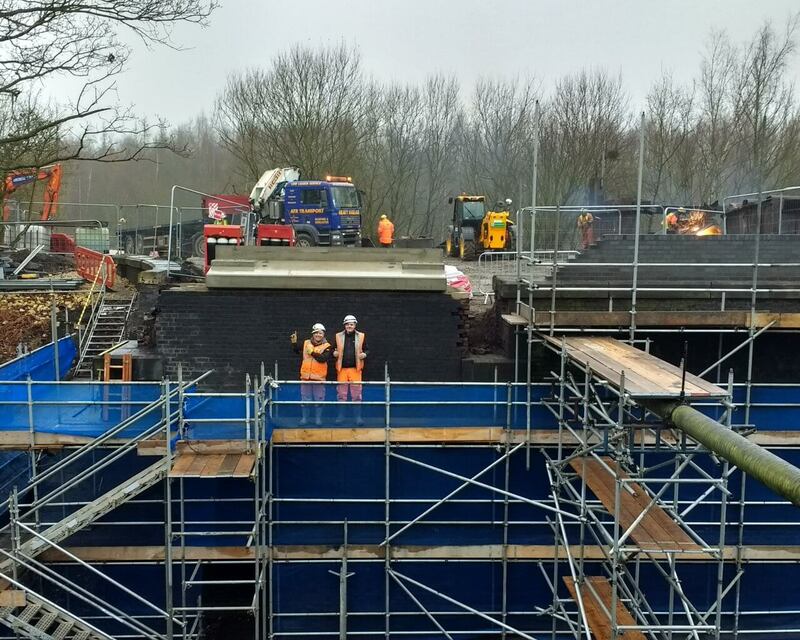 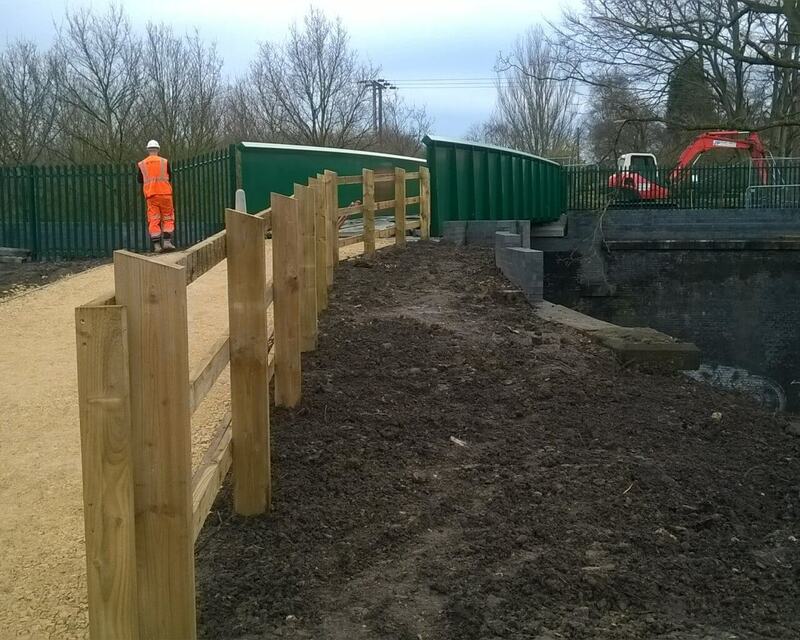 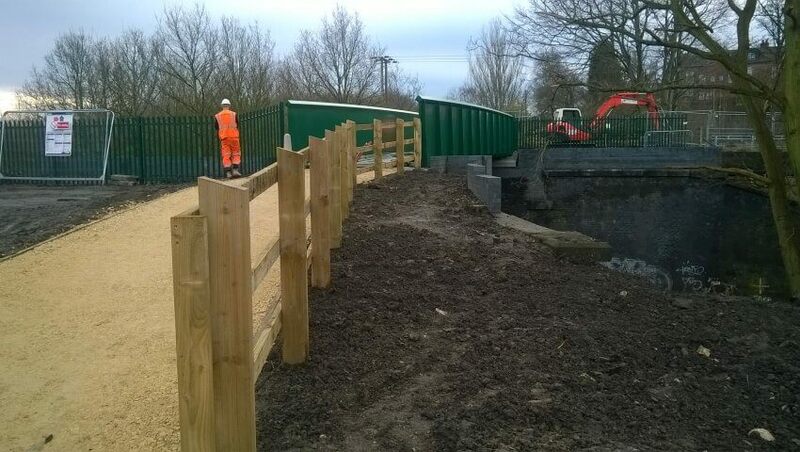 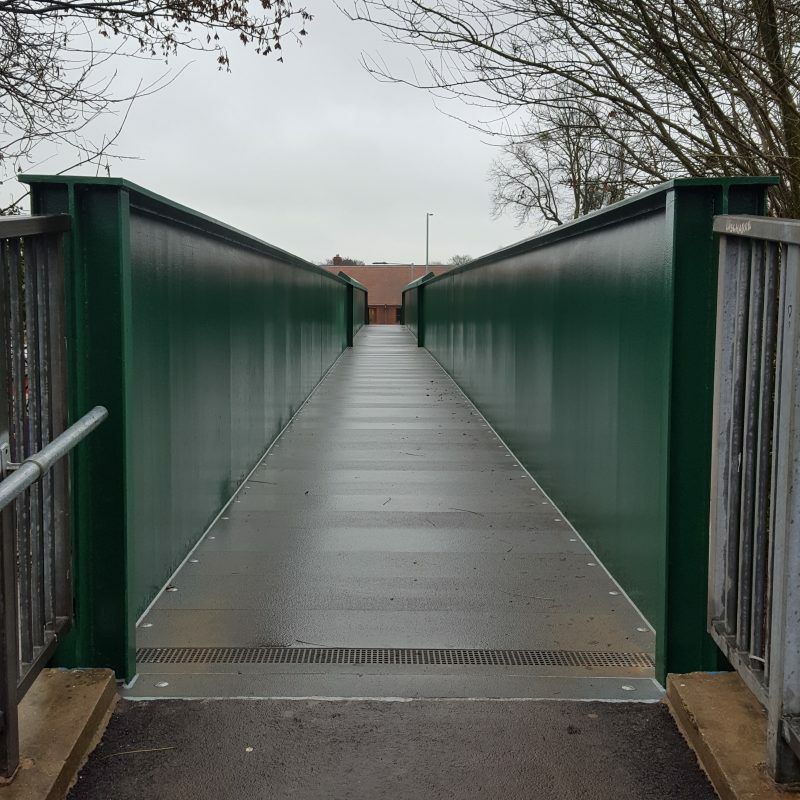 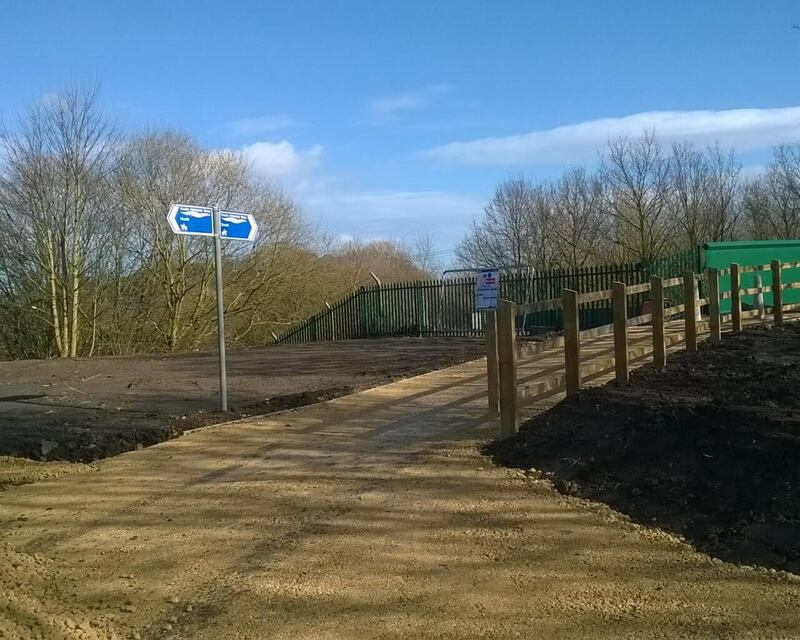 The new footbridge is designed to accommodate horses, pedestrians and cycles and utilises the existing abutments which were assessed as being capable of supporting the new structure. 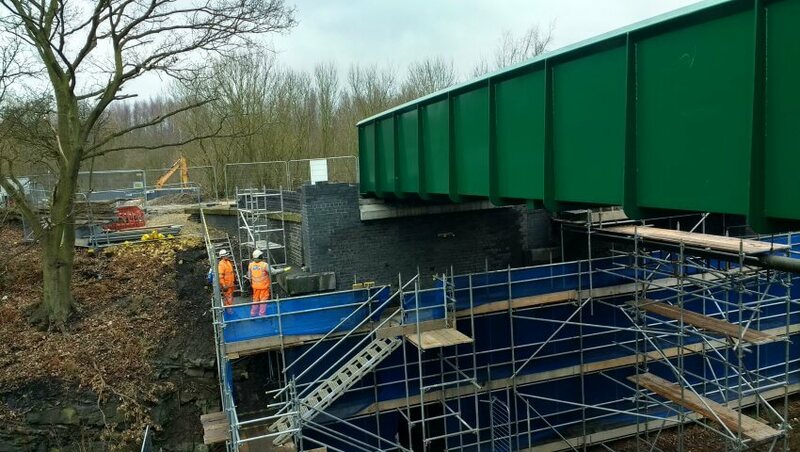 The removal of the main girders on which the deck was sitting and shallower construction depth of the new bridge allowed a 2200mm increase in headroom at the lowest point between the soffit and rails below, although the presence of a 250mm diameter gas main on the east side is still the limiting factor for headroom at this location. 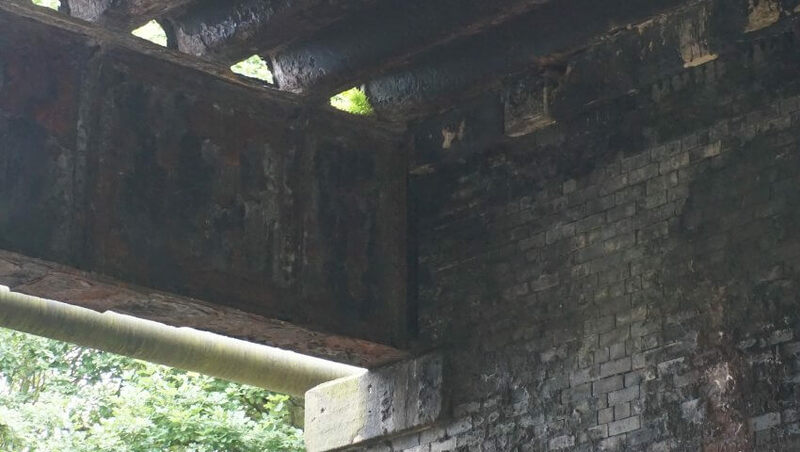 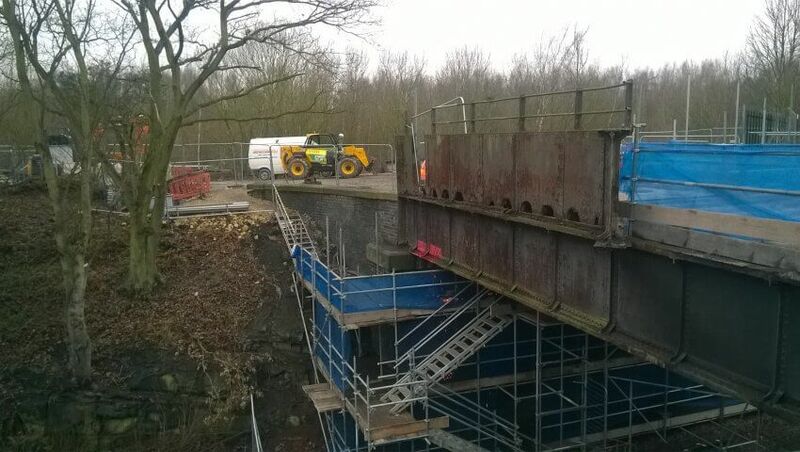 Concerns about the tall slender abutments, required significant temporary works to maintain stability once the existing bridge structure was removed. 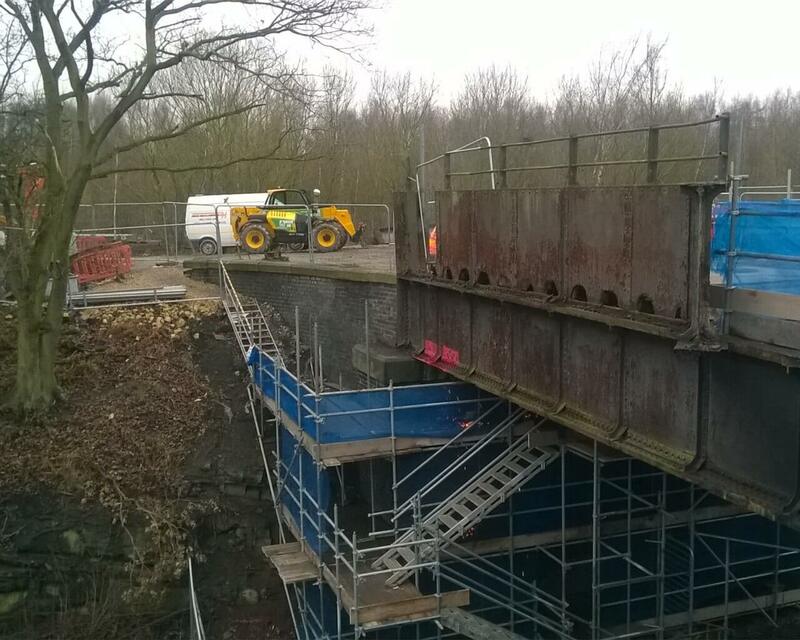 Backfill behind the abutments was removed with tie’s installed to secure the existing abutments throughout the demolition sequence. 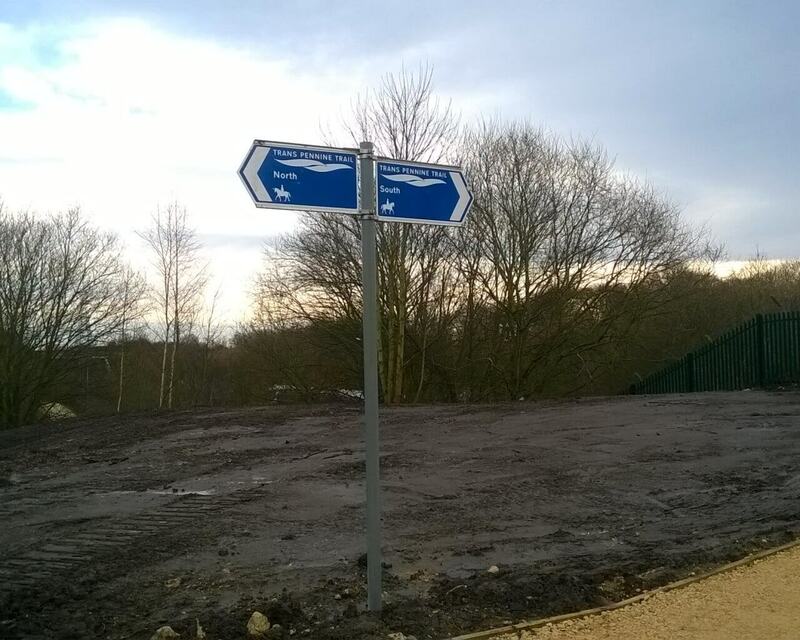 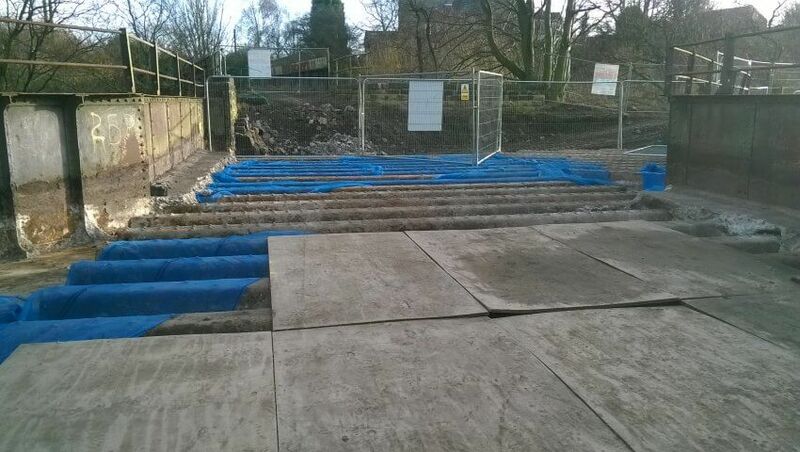 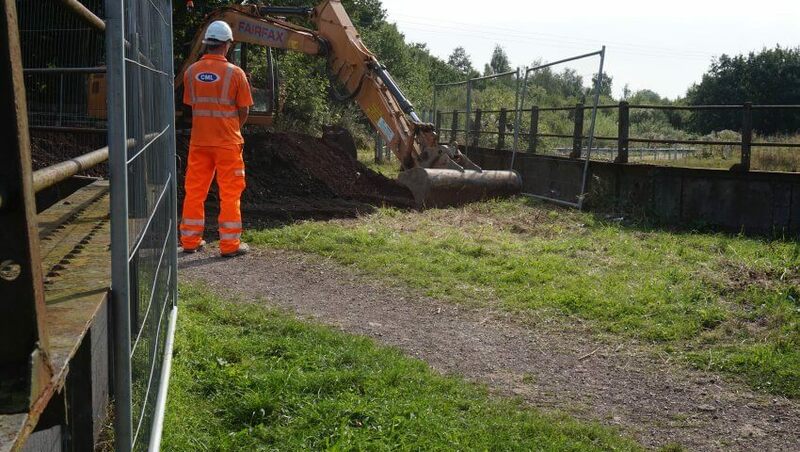 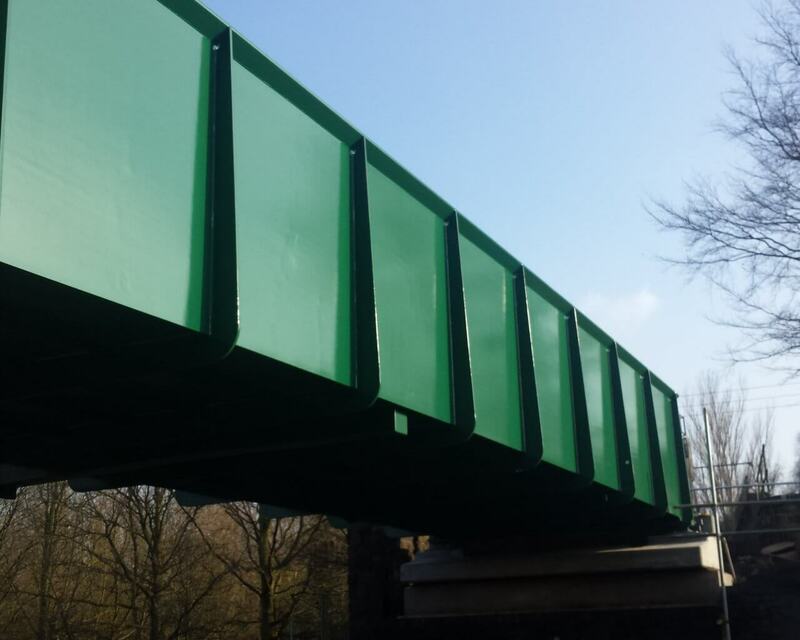 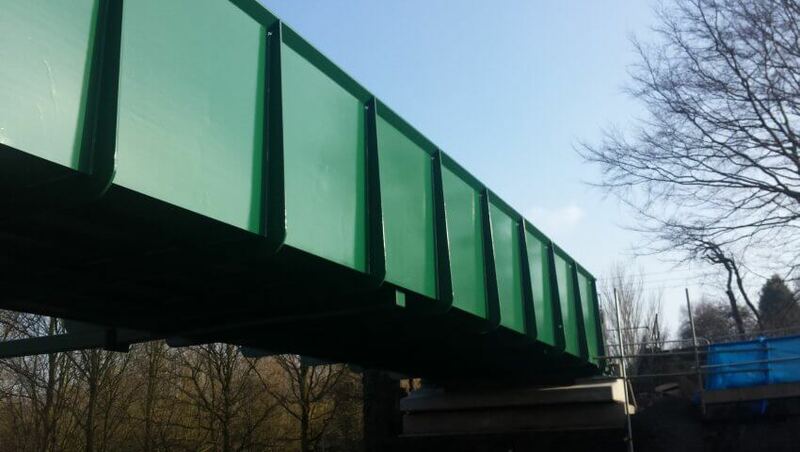 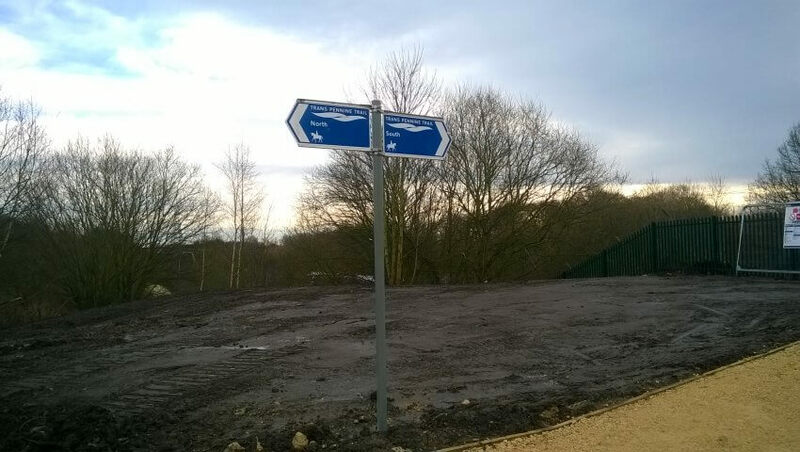 Good relationships developed with the local community who were kept informed of progress throughout the works, Highways Authority in connection with footpath and bridleway closures and our specialist suppliers Carvers for the fabrication of the new structure. 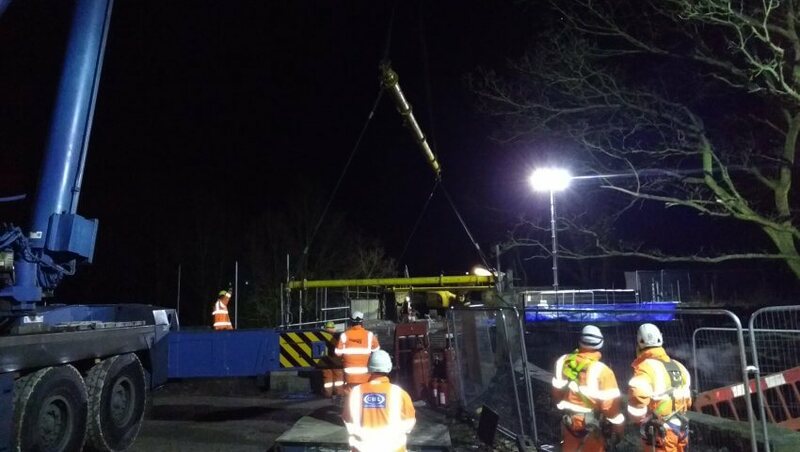 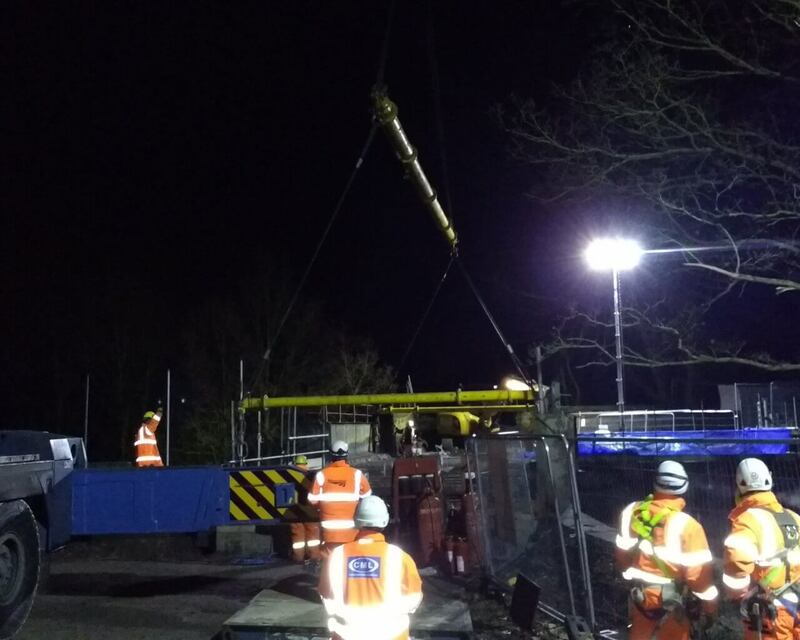 Overcoming potential problems with crane and outrigger positions which had to straddle a gas main, as well as managing the lift of the existing bridge elements which were in very poor condition. 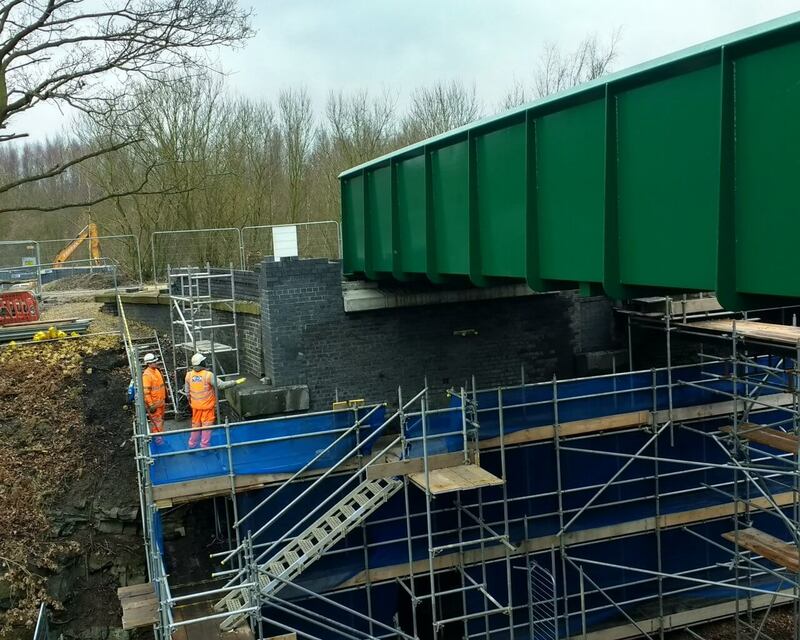 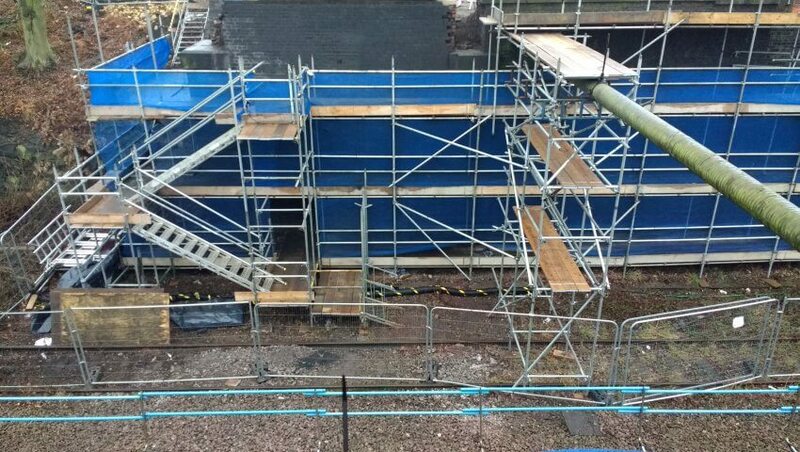 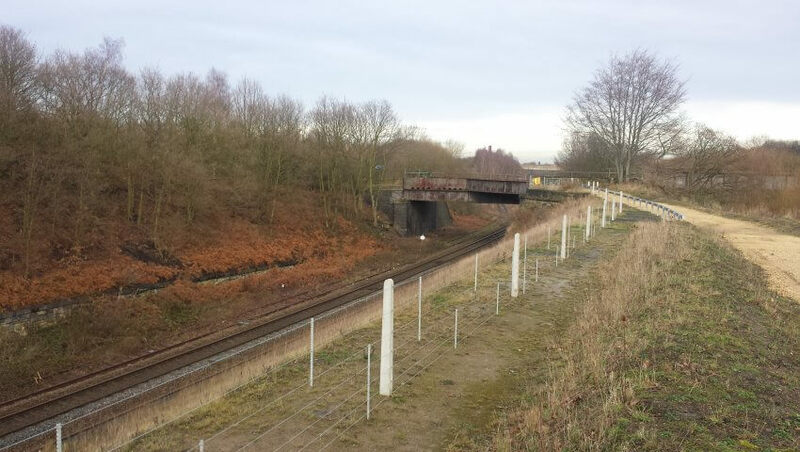 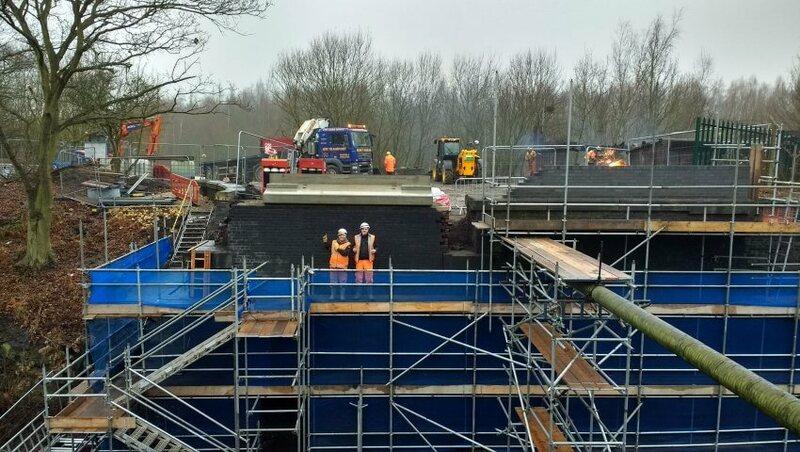 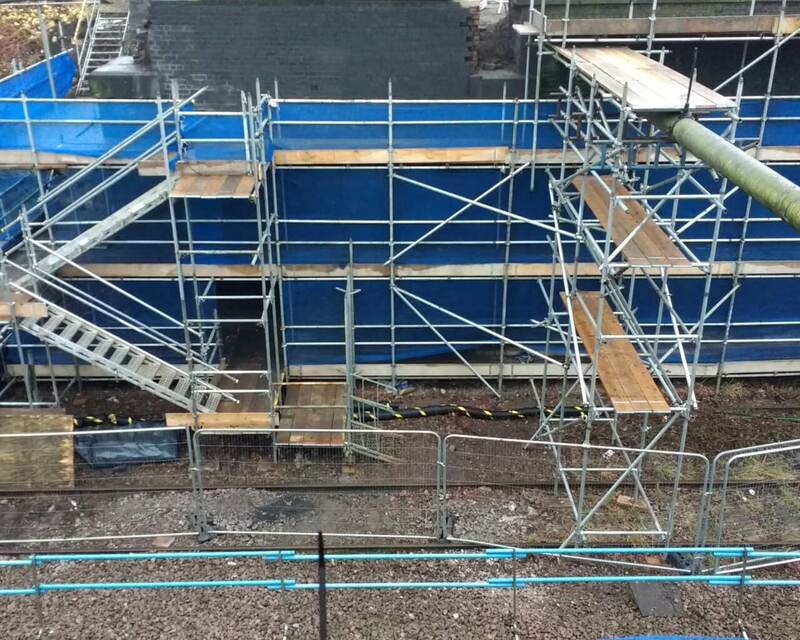 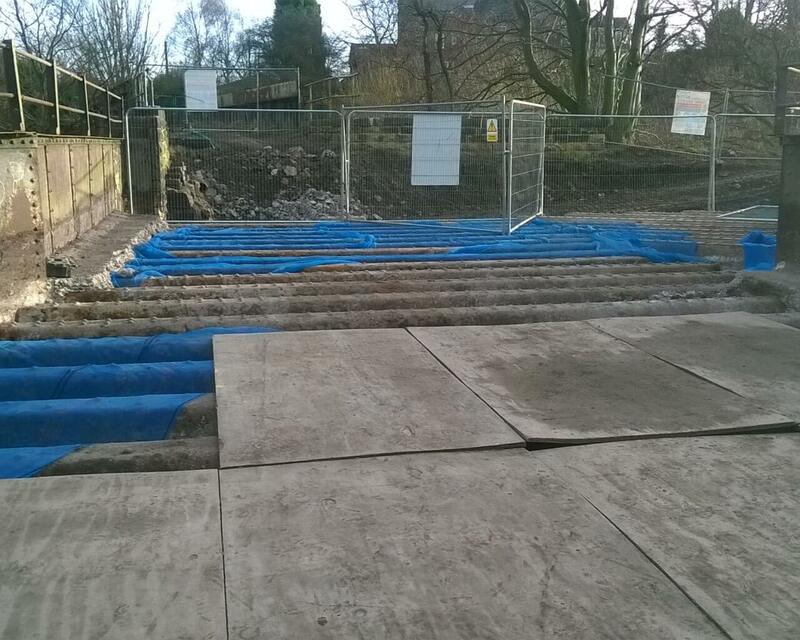 Collaboration between all parties to deliver a design change which significantly reduced the works required to the existing abutments. 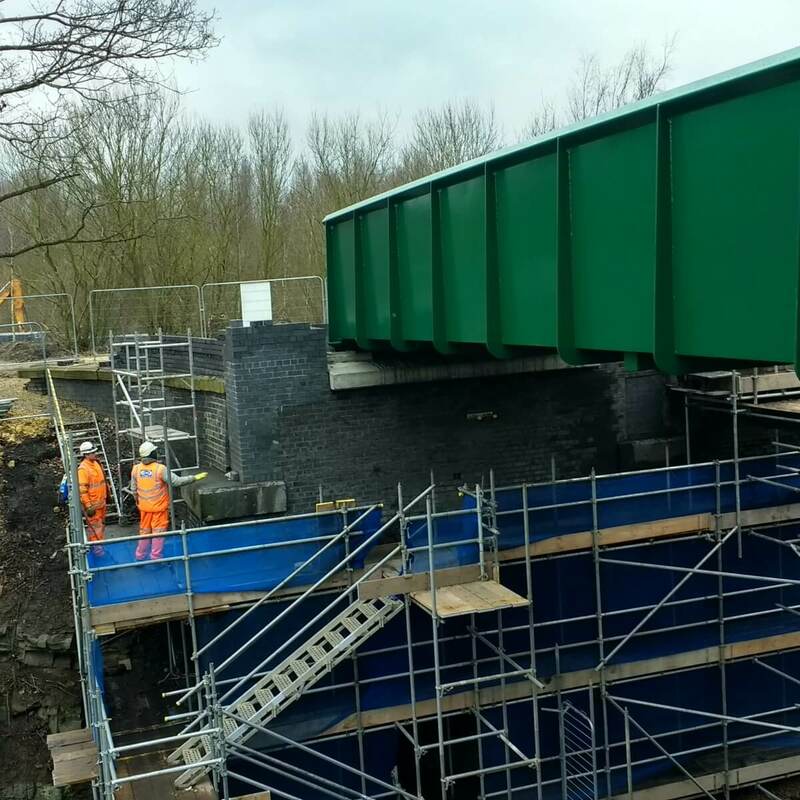 Cost and programme efficiencies were made as the cill units were re-designed to be placed directly onto the abutment brickwork instead of using riser units, which would have required significant additional works to reduce the abutment levels and install concrete riser units.